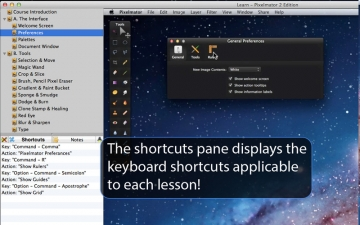 Learn - Pixelmator 3 Edition | Mac App Storeのアプリ検索・ランキング BuzzMac! 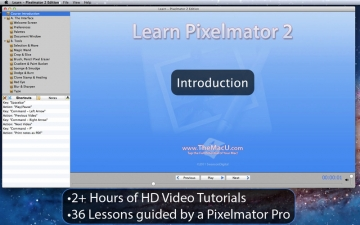 •2.5 hours of HD video tutorials on Pixelmator 3! 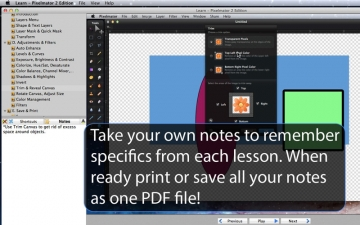 •43 individual video lessons guided by a Pixelmator Pro. 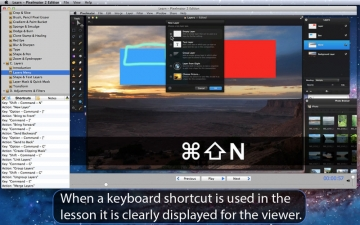 •The keyboard shortcuts associated with each lesson are listed in the sidebar. 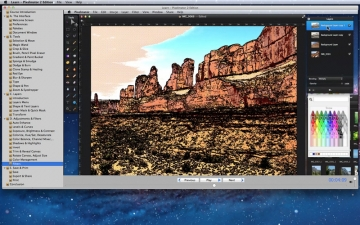 This course includes over two and a half hours of video training on how to use the tools, palettes and adjustment commands in Pixelmator 3. Follow along with the trainer by downloading the images used in the lessons!